If this doesn't rock your socks off I don't know what will. 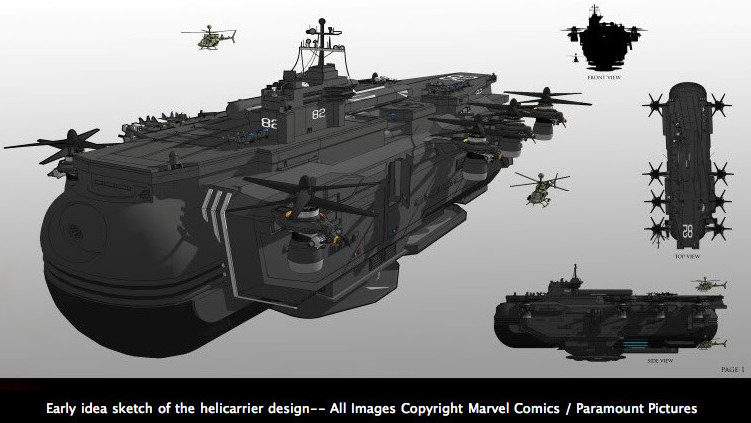 The coolest vehicle in all of comics, the S.H.E.I.L.D. 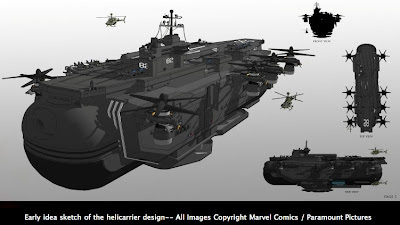 Helicarrier, was set to debut in Iron Man 2 according to Russian site spidermedia.ru, but will now launch smack into Joss Whedon's Avengers movie. While it's only initial concept art, the thought of this massive beast moving through the sky is almost enough to bring a tear to the eye. Now, where's my jetpack? Wow Liam - That is fantastic stuff!! I stink at 3d modelling - so massively impressed at what you have got going there. IADW readers jump over to the weblink yourself and check out what this guy has got going down!